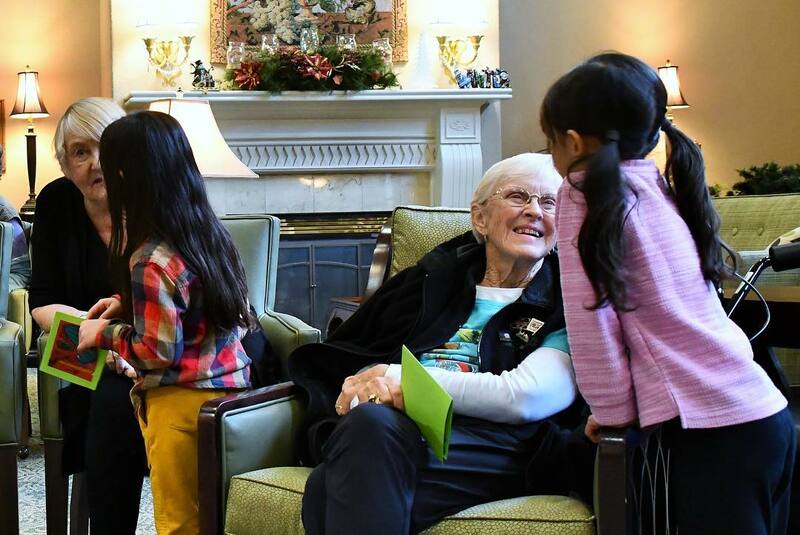 Miss Piper's kindergarten class from The Evergreen School in Shoreline visited Áegis of Shoreline, a neighborhood assisted living facility. They sang songs, chatted with residents and gave them handmade cards. They even did the "Hokey Pokey!" There were lots of smiles all around.